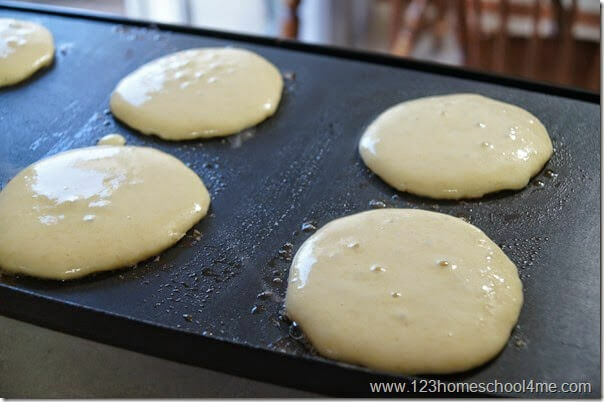 Here is a delicious and healthy pancake recipe that families will love. This is a real food recipe. The best part is that the protein is boosted so that it will help balance you and your child’s blood sugar so they don’t crash in the middle of school. Pancakes are a childhood classic! We LOVE pancakes! Here is a yummy recipe that quickly became our families our go-to recipe because all the extra protein kept us full and satisfied all day long! 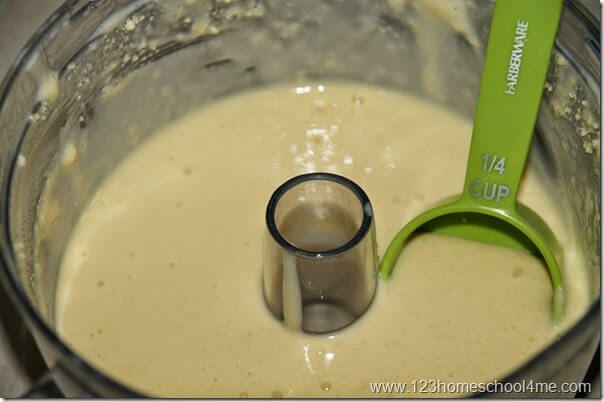 We mix up the entire pancake batter in a food processor. Start with 1 cup of cottage cheese blended 20 seconds or so; until smooth. 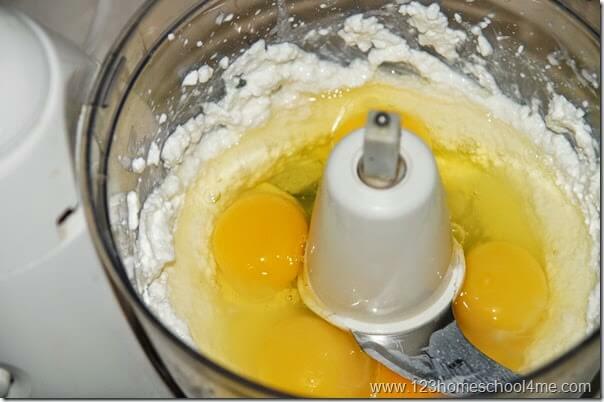 Now add 5 eggs or 1 cup egg whites and blend until combined. 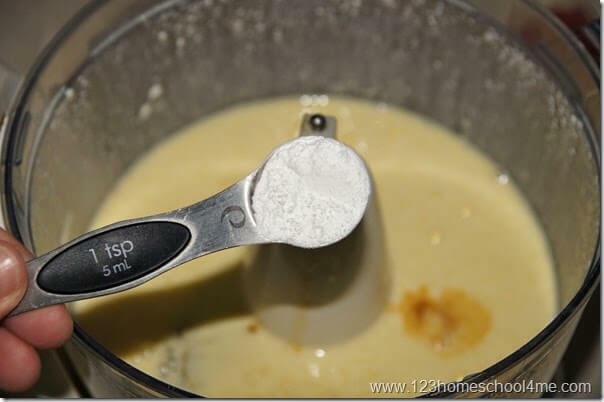 Add a dash of vanilla extract, 2 teaspoons baking soda, and 1 Tablespoon pure maple syrup or Stevia. 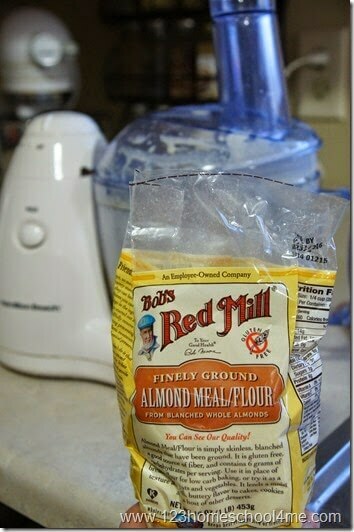 Add 1 cup almond flour. You are going to love this flour alternative. Not only is it low in carbohydrates and high in protein, but it adds a wonderful buttery nutty taste you’ll love! Blend for the last time and you are left with this perfect pancake batter. Now put 1/4 cup of pancake batter per pancake on a hot griddle (about 375 F). Flip after a couple minutes when slightly bubbly on the top and golden brown on the bottom. Cook a couple additional minutes. Serve pancakes warm. 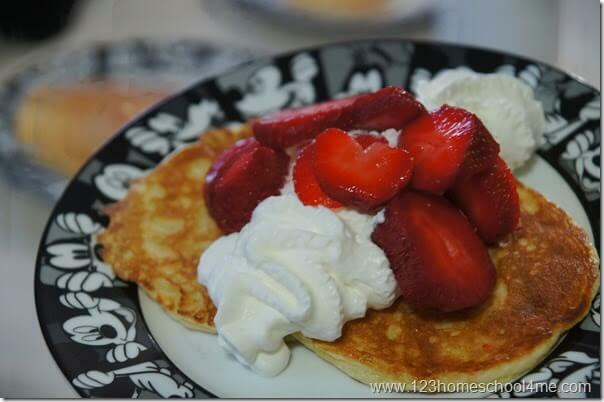 We like to top ours with fresh fruit and a squirt of homemade whipping cream. In the mood for pancakes, but looking for something healthy? 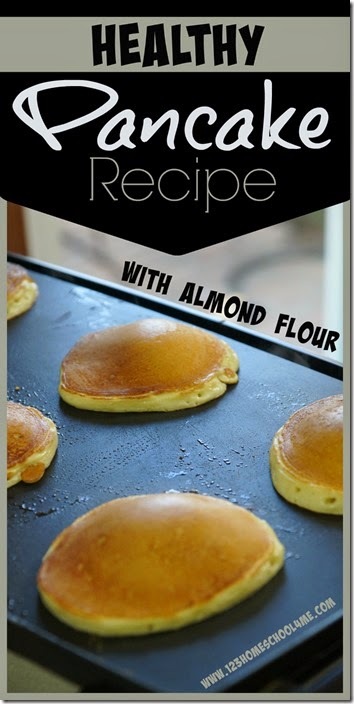 You are going to love these delicious, fluffy, Healthy Pancake Recipe. 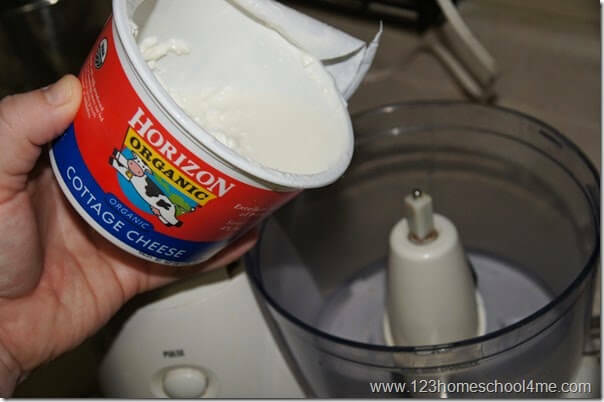 In a food processor blend cottage cheese until smooth. Add eggs and pulse 20 seconds or until well combined. Add all remaining ingredients until combined. 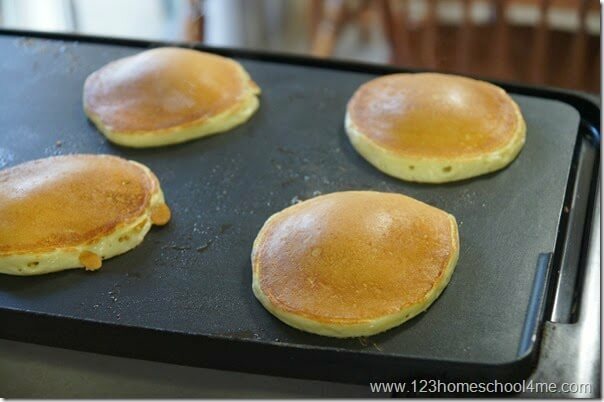 Cook 1/4 cup each on hot, buttered griddle turning when bubbles are popping. Serve with fruit and homemade whipping cream.